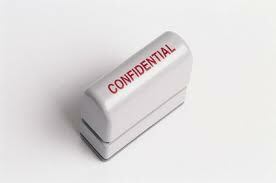 It is CVAS’s policy to maintain strict confidentially for all client records. Client data is not provided to third parties that have not been authorized by the client on submittal paperwork. Requests must be provided to CVAS by the client either by e-mail or fax for data to be sent to third parties not designated on submittal paperwork. Internet access to data is protected through the use of a username and password. If the client has internet access to records established, it is the client’s responsibility to request in writing any changes to password information to maintain security of data. CVAS will honor a subpoena from a court for specific client records. CVAS does provide summarization of feed and forage data for clients, researchers, Extension, popular press, and other industry entities. This is always done in a manner to maintain the confidentiality of client information and identifying sample and client information is never provided. CVAS, consistent with industry practice, utilizes the nutrient data and NIR spectra of client samples at times in order to develop and maintain quality NIR equations for nutrient prediction. This practice is done independent of identifying client information.